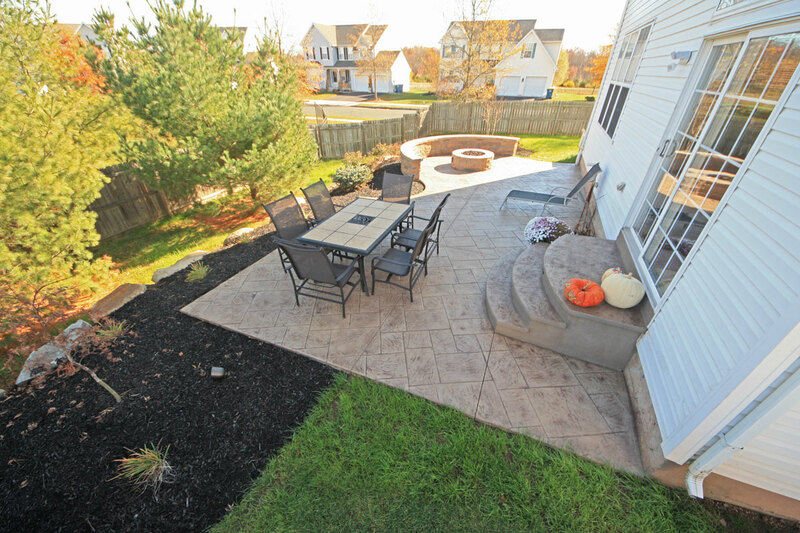 The backyard of this property has a steep, downward slope away from the house. 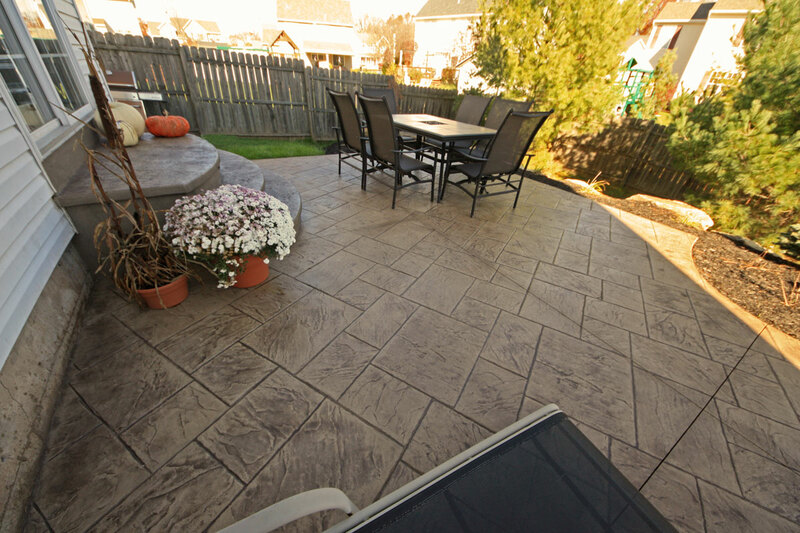 An existing deck sits right off the back patio door and is large enough to fit only a dining table a grill. 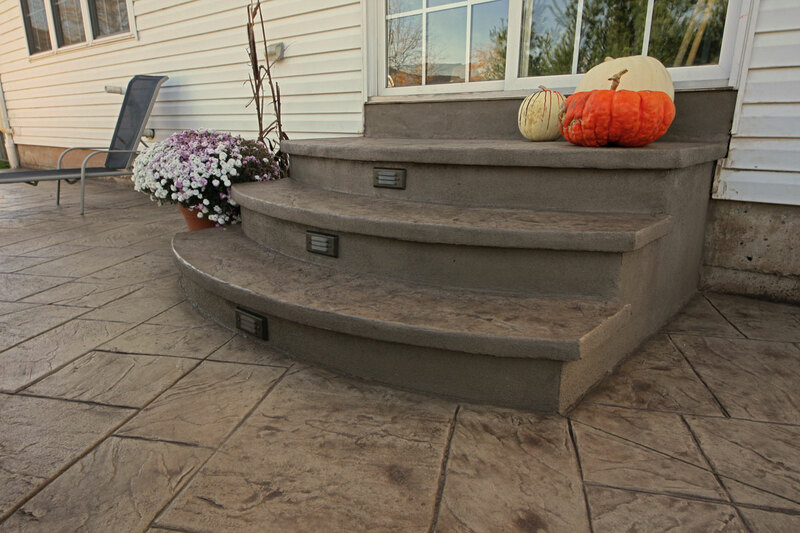 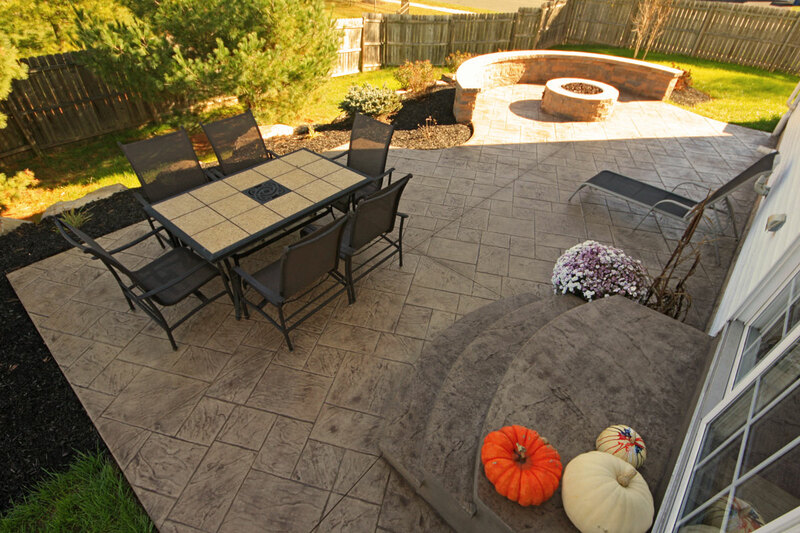 This deck gave our clients the only outdoor space that was usable in their sloping backyard. 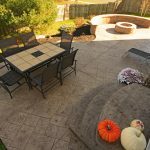 Our clients wanted to eliminate the deck and create a patio area that gave them room for two areas; a dining area and an entertaining area. 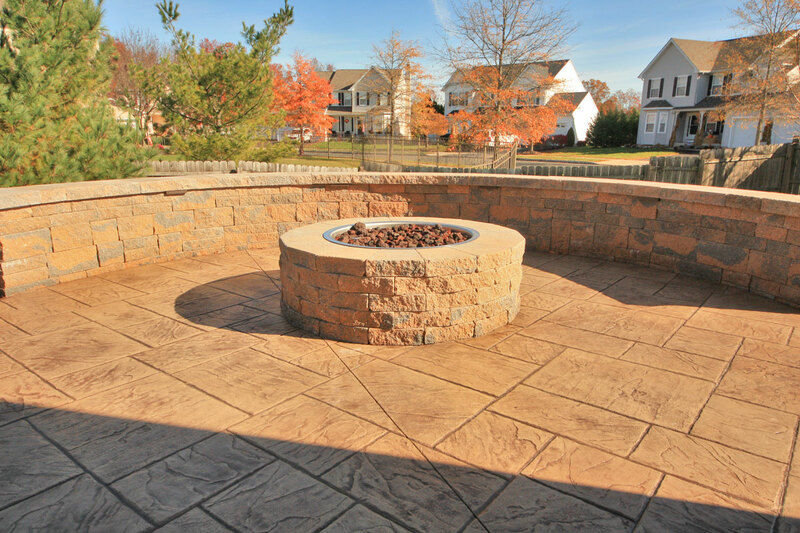 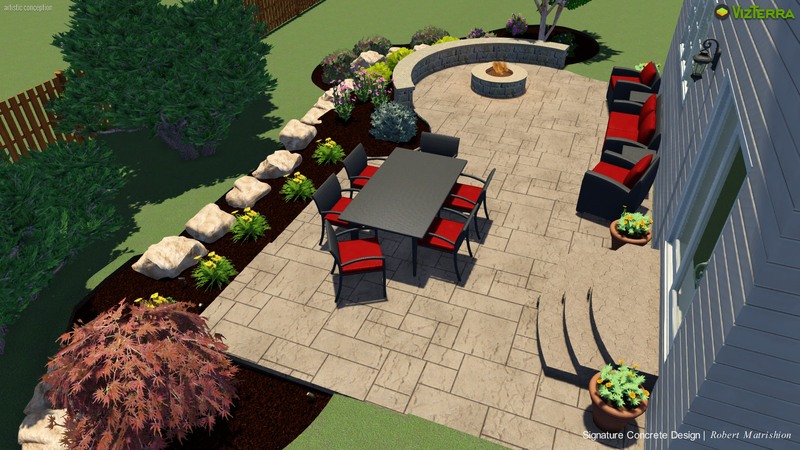 The entertaining area would accommodate a fire pit. 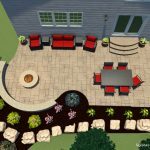 They wanted a planting plan to add plants that have color and are low maintenance. 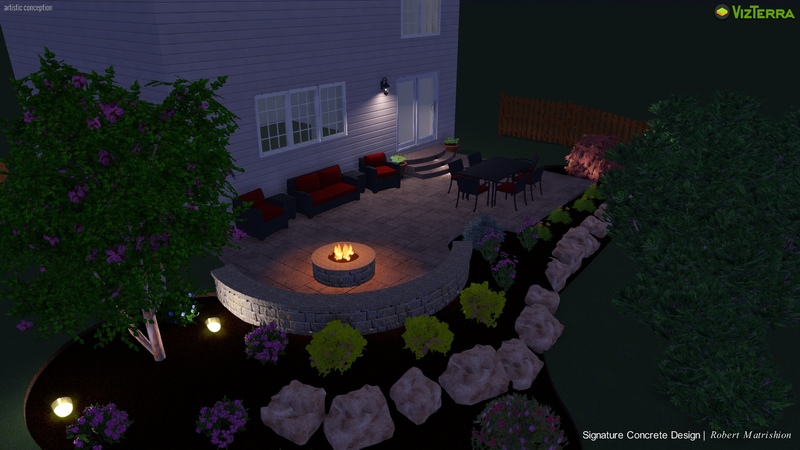 We would also need to incorporate lighting within the hardscape and landscape by coming up with a lighting plan. 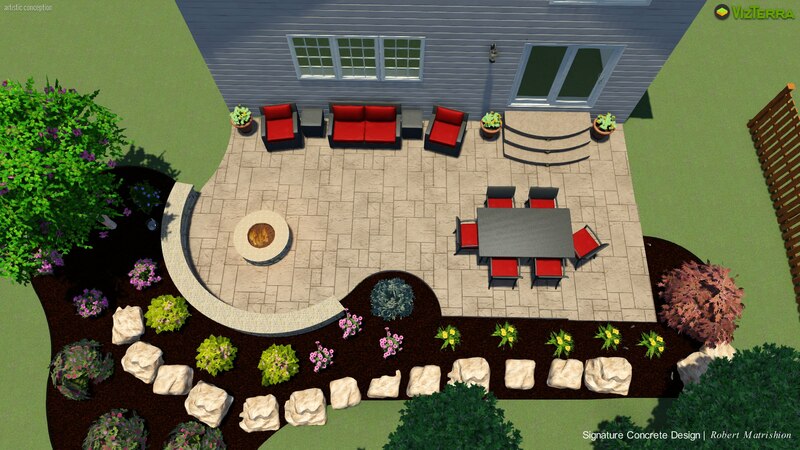 We came up with pretty simple design concept for the patio. 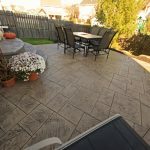 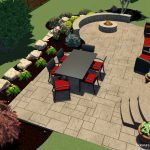 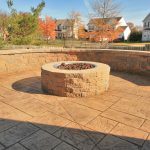 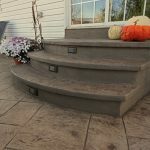 Our first instinct was to tier the patio into two areas, however when we discussed the project more in depth with the client it sounded like they liked the idea of one tier. 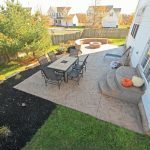 We only had so much room to work with because of township restrictions so we basically maxed out the square footage for them and gave them the most usable space for their dollar. 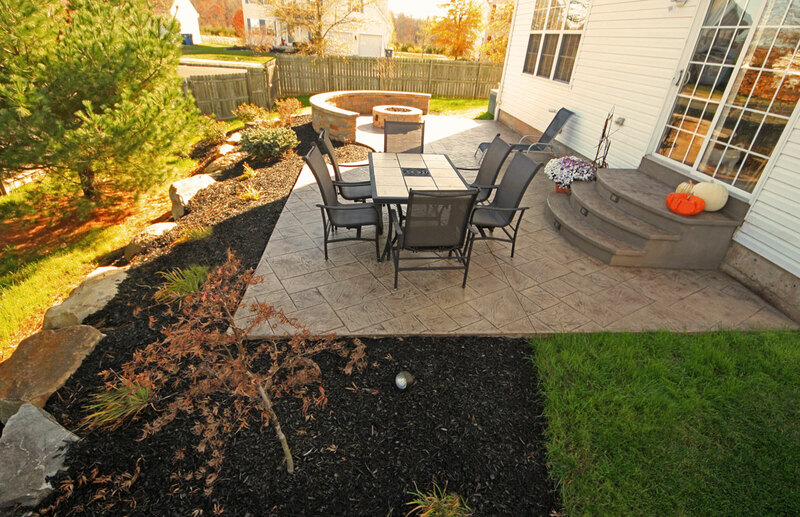 For the planting plan, we framed the patio with a Crape Myrtle and a Japanese Maple. 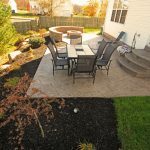 Surrounding the patio space we added a combination of shrubs and perennials that are both colorful and reliable to perform year after year. 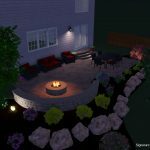 We added hardscape lights to the steps and the seating wall. We also used spotlights on the trees.